You have heard of hair dyes, hair chalks, and color crème glosses, but have you heard of color depositing conditioners? If you are someone with colored hair, you will understand the pain of watching your hair color drip down the drain every time you shower. To avoid this, you can use a color depositing conditioner as it puts back the color into your hair so that you can step out of the shower with revived and refreshed hair color. 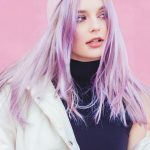 If you are someone who hasn’t colored your hair but love to experiment with simple coloring products, color depositing conditioners are an amazing option. Besides coloring your hair, these conditioners protect it from the harmful UV rays and heat styling. The pigments infused in the formula enhance your natural hair color or neutralize uneven tones. Want to try out them out? Check out the list of 10 best color depositing conditioners below. 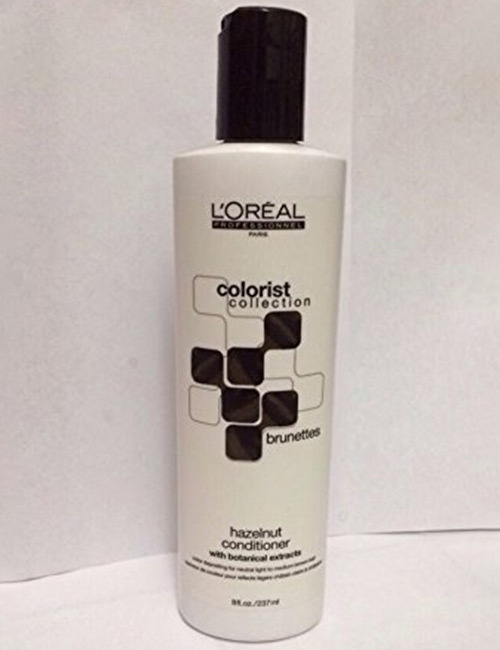 This color enhancing conditioner provides instant hair color while nourishing the strands. It conditions and repairs damaged hair and adds intense shine to it. This conditioner is suitable for medium brown to dark blonde hair. It can be used to revive faded highlights to a rich chocolate shade. This satin-finish conditioner processes in just 3 minutes. 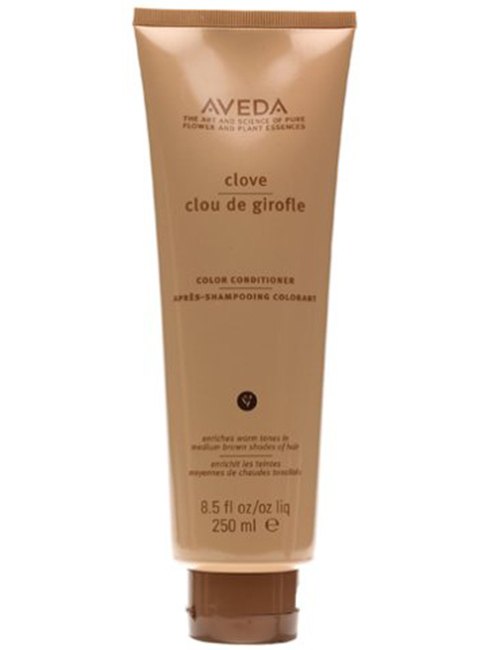 This luxurious color conditioner enriches warm tones in medium to dark brown shades of hair. It contains organically grown cloves that help enhance the warm tones and cleanse the scalp. It deeply conditions dry and damaged ends. The creamy formula leaves your hair looking soft and manageable. This conditioner is an ideal choice for brunettes and honey shades. This fiery ginger color can spice up your hair color instantly. It is ideal for russet-reds as it brings back the vibrancy. If you have blonde hair, this conditioner adds a rosy blaze to it. It adds a metallic glow to your hair that lasts up to 18 washes. The multi-spectrum defense complex helps protect your hair color from fading. The bio-advanced peptide complex repairs your hair from root to tip, prevents frizz, and adds shine to your locks with every use. 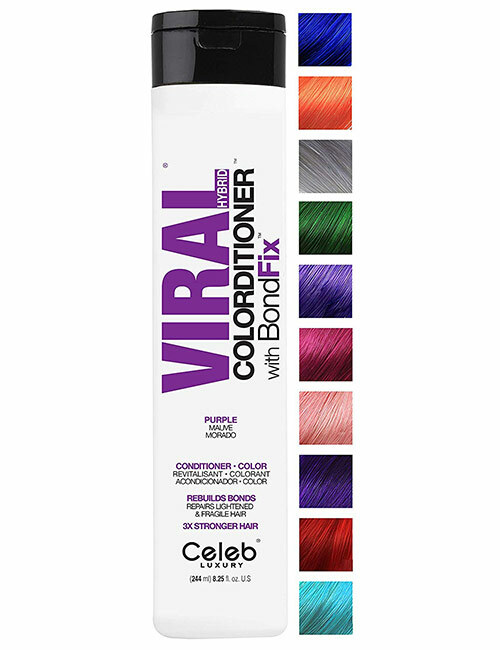 This intense conditioning color helps maintain your vivid hair color for weeks. It controls fading and extends the life of the new deposited color. This conditioner works well on highly lightened, bleached, and palest blonde hair. It is a hydrating formula that rebuilds bonds deep in the core of hair fibers for 3X stronger and silkier hair. This conditioner is available in 10 beautiful colors. Can leave a waxy film on your scalp. Color your hair while you cleanse and condition it! 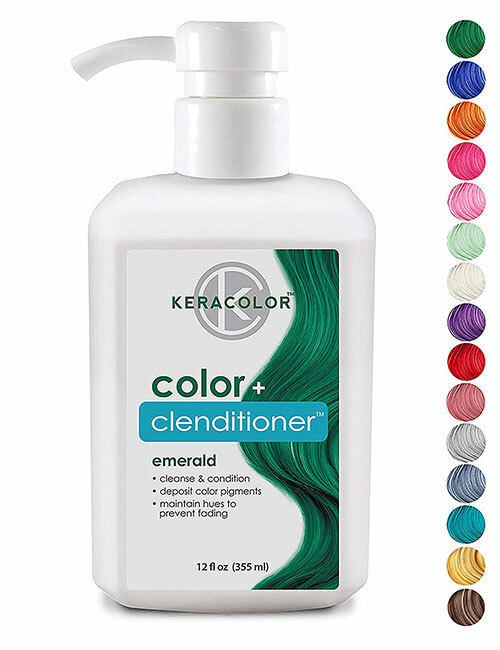 This dual-purpose product is designed to infuse color into your hair instantly with every wash. It adds stunning hues and maintains the vibrancy of the shade without fading. While coloring your hair, it also adds strength, shine, and softness. It works well on lightened hair. This conditioner cleanses away dirt while adding true rich color. The palette mostly contains pastel colors. This luxurious color conditioner is ideal for natural or warm red hair. It maintains and enhances the existing red tones in your hair. While adding color, it also hydrates dry and rough hair. The formula is infused with direct pigments that deposit color without an activator. It also contains hydrolyzed milk proteins that condition your hair and impart shine and silkiness. It protects your hair color from fading and maintains the integrity of color. 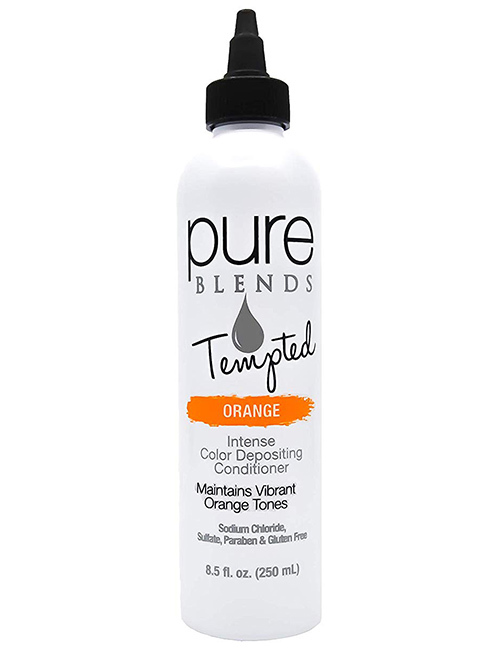 If you are looking for temporary funky hair colors, check out Pure Blends’ Tempted Intense Color Depositing Conditioner collection. 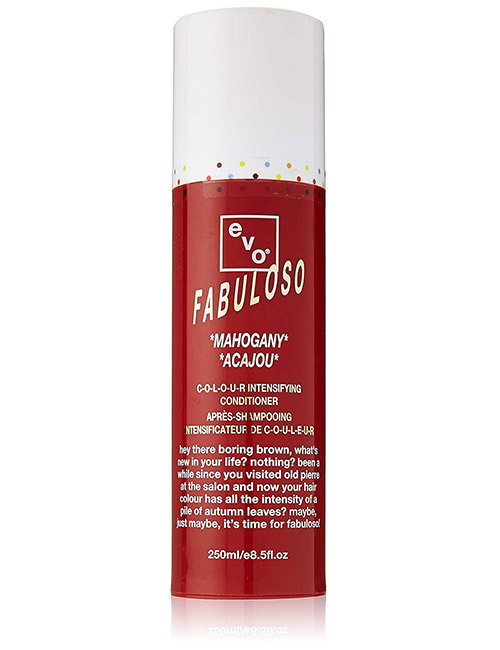 This conditioner is designed to maintain bright and vivid hair color. Each time you use it, it will deposit pure pigments to keep the shade vibrant and lively. The formula is infused with a blend of botanicals, keratin, and collagen. These ingredients hydrate and revitalize dry strands, repairing your hair from root to tip. This intense conditioning formula reduces frizz, provides strength to your hair, and prevents breakage. 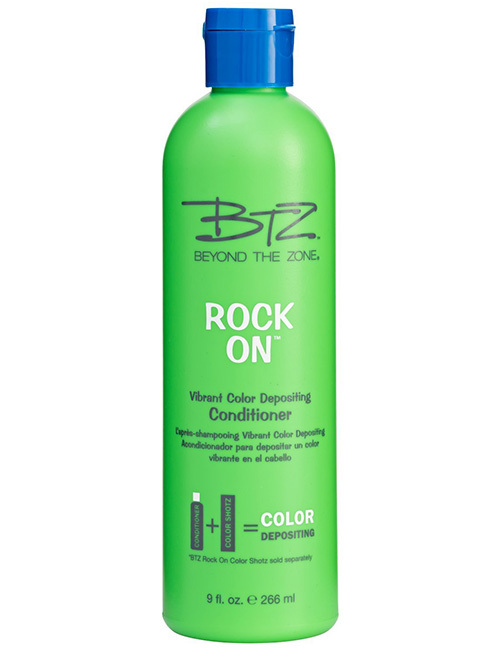 BTZ Color Depositing Conditioner is a lightweight, moisturizing conditioner that is designed to enhance your natural hair color. This formula, when mixed with BTZ Color Shotz, will give you temporary hair color. 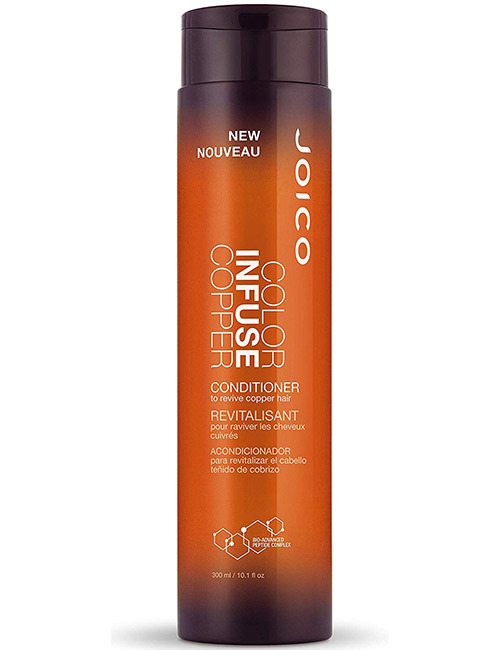 This intense hydrating conditioner boosts your hair color temporarily. It deposits color every time you wash your hair. Add a pinch of BTZ Color Shotz to this conditioner for pigmented hair color. 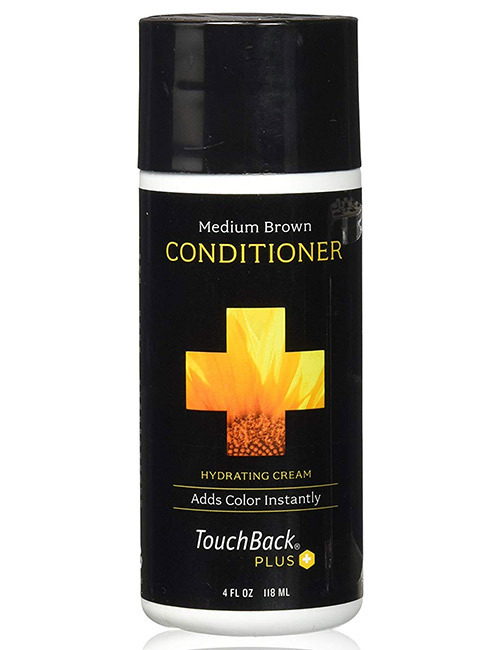 Touchback Plus Color Depositing Conditioner is an ammonia-free formula. 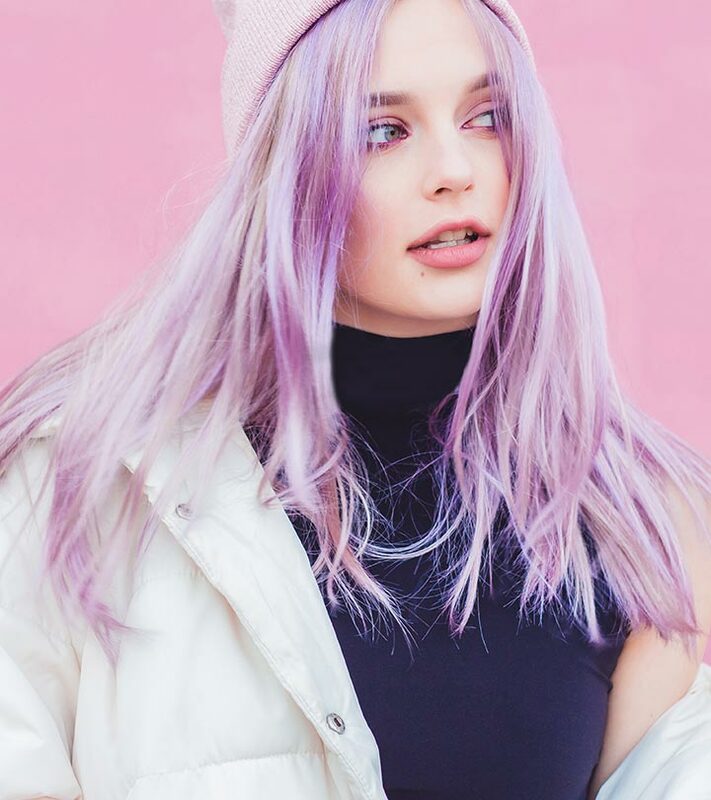 It adds color and shine to dull and faded hair. The color lasts through three washes. Touchback’s patented formula uses ionization of hair to bond the color to the hair shaft. The optimum fade protection technology prevents the color from fading or turning patchy. 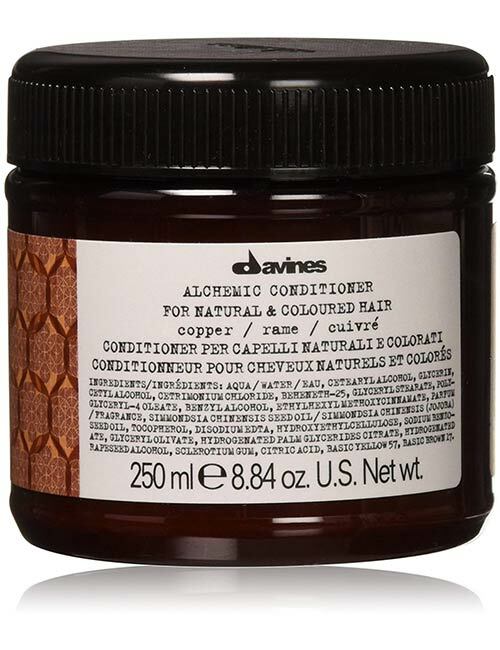 While adding color, this conditioner also smoothes each strand and repairs dry and damaged hair. Difficult to purchase the product in stores. This is a pH-balanced formula. It contains semi-permanent hair color pigments and reflective mica for long-lasting color and intense shine. This hazelnut shade is a neutral brown color base, which works well on neutral light to medium brown hair. The formula is infused with natural ingredients, like apricot kernel oil and fruit extract, combined with keratin bonding dyes. This blend provides shine and long-lasting color. With every use, this conditioner accentuates your hair’s natural radiance. Have you tried any of these products? If not, quickly click on your favorite color depositing conditioner, try it out and let us know how it worked for you by commenting below. Whether you want to dye your hair, color-correct the current shade, or refresh your highlights, you need to pay a bomb at the salon. But, what if I told you that you no longer require regular salon touch-ups? Sounds impossible?